Mary Katrantzou has designed a Teflon Easter Egg for the Fabergé Easter Egg Hunt in London. The giant floral-embellished egg, which is on display at the fashionable May Fair Hotel for 40 days and 40 nights, went for £12.000.- in the charity auction. 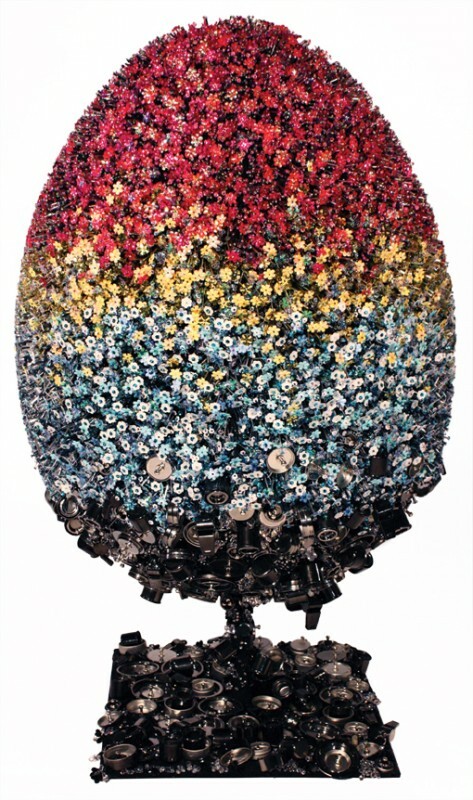 The egg features several “metal flowers, Swarovski crystals, bells and whistles, the May Fair’s vibrant three-colour tiered Egg is described as ‘Man Meets Machine Meets Mother Earth'”. 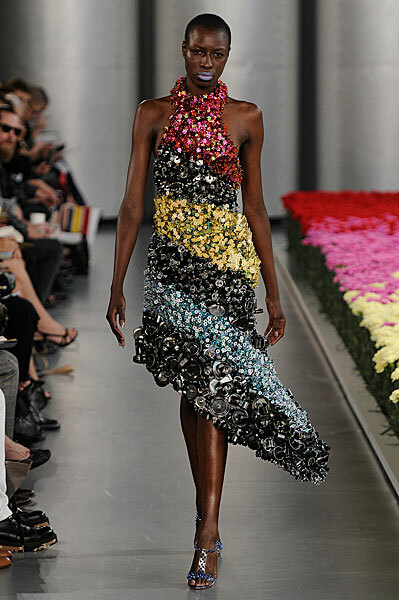 Reminiscent of Mary Katrantzou‘s beautiful S/S 2012 collection.